Augustus restored the outward facade of the free Republic. Yet he retained his autocratic power over the Republic as a military dictator. Over the next several years, through strategy and intrigue, Augustus stealthily transformed the Republic into the Empire with himself as the sole ruler. The reign of Augustus initiated an era of relative peace, known as the Pax Romana (Roman Peace). Despite continuous wars and imperial expansion on the Empire’s frontiers, as well as a year-long civil war over the imperial succession, the Roman world was largely free from large-scale conflict for more than two centuries. Augustus dramatically enlarged the Empire. Beyond the frontiers, he secured the Empire with a buffer region of client states, and made peace with the Parthian Empire through diplomacy. He reformed the Roman system of taxation, developed networks of roads with an official courier system, established a standing army, established the Praetorian Guard, created official police and fire-fighting services for Rome, and rebuilt much of the city during his reign. Augustus died in 14 AD at the age of 75. Augustus was celebrated as a hero after the strife of civil war. Augustus was considered the great source of peace for Rome. Four themes that would permeate his reign were freedom, justice, peace, and salvation. Whenever Augustus’ great accomplishments were proclaimed, the proclamation of Augustus’ victories were called the Euangelizo (“good news” or “gospel”). Augustus, “son” of the “divine” Julius Caesar, was celebrated as a great, universal “savior” for all people who were described as previously being in a hopeless state, and who would have remained so had Augustus’ victories not been achieved. The “Lord” Augustus had brought freedom, justice, and peace as a “savior” to all who would welcome his militaristic reign. Scholars today have defined these elements as the Roman Imperial theology that was continually propagated throughout the empire in Luke’s day through poems and inscriptions, coins and images, statues, altars, and structures. Through these cultic means, the Empire would justify its violent dominance, as well as its imposed heavy taxation throughout the conquered territories. Next, Luke has an angelic host appear in the night sky for these shepherds, proclaiming, “GLORY to God in the highest heaven, and on earth PEACE among those whom he FAVORS!” No statement could have been more provocative than what these heavenly messengers said. 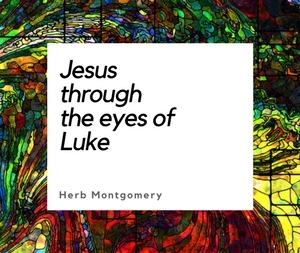 To all who would have been Luke’s original audience, these words would have been heard in stark contrast to the “glory” due only to Rome, and the “peace” Rome promised to those upon whom Rome’s favor rested. How would he do it? In a way symbolized by the apparent peacefulness of a baby lying in a manger, born into a life of poverty. This baby, helpless as it seemed, would be the means through which the Roman Empire, as well as all of this world’s empires (including whatever empire you find yourself living in today), would crumble, not by militaristic might, but by a humble servant’s love. This baby would be the undoing of all the unjust social structures of this world, not through the power of justified violence or the power to take life, but through the power found in laying His own life down, to be taken by His enemies, coupled with enemy-embracing, enemy-forgiving love. When one sees how threatening the Jesus story is to whatever the current societal arraignments of the day are, it’s no wonder the Empire worked so tirelessly to reframe the Jesus revolution into a religion that actually supported the Empire in the fourth century. Through this baby, the truth about God, the truth about ourselves, and the truth about everyone else around us would be proclaimed. In John’s version of the Jesus story, John has Jesus, on the day of his death, saying to Pilate, “You say that I am a king. For this I was born, and for this I came into the world, to testify to the truth. Everyone who belongs to the truth listens to my voice.” (John 18:37, emphasis added). The revelation of the truth this baby’s birth would proclaim to the world would be the means whereby all of Creation might be reconciled once again to each other and back to God (Ephesians 1:10, 2.16; Colossians 1:20). Over the next few weeks leading up to Christmas, we will be looking at how this baby’s birth (rather than the empires of this world) bring to us the justice we hunger for, the peace we so desperately need, and the freedom to make it all happen. We will begin next week with freedom, for it is through the specific freedom given by this baby, lying in a manger, that the peace and restorative justice of the reign of Christ was realized within the early Jesus revolution. The first thing we need is freedom—freedom from the fear that the empires of this world lord over us, freedom from the fear of death (Hebrews 2:14, 15). It’s a game-changer once it dawns upon your heart. But we’ll pick that up next week. 1.This week, as we enter the holiday season, take a moment to notice the water you’re swimming in. Step back and make the comparisons necessary between the Roman Empire that reigned in the days of Jesus’ birth and whatever governing structure you happen to live under today. Make a list of five similarities between Rome and whatever ruling structure you find yourself living in (for me it would be America). 3.Be prepared to share your insights this week with your HeartGroup. Taking time to contemplate the Advent of Christ and its meaning in its own historical context, as well as ours today, is the most revolutionary thing one can do. It is in the meditation on these themes that the early Jesus revolution was born, and Jesus’ followers were “turning the world upside down,” “acting contrary to the decrees of the emperor,” and saying “that there is another King named Jesus.” (Acts 17:6–7) May that also be said of Jesus-followers in our day. Happy Holidays to each of you, and may the Truth proclaimed by the events that this season brings to the minds of so many be ever present in your heart.